Firstly people. Every business is a people business and no more so than now. In the information age where thinking and innovation are the key drivers of value, people are a business's greatest asset which is why we need to focus on them now more than ever. Secondly we love the profound revolution that technology is bringing into our lives. We embrace the change and all its benefits but are equally committed to working through its dangers as well. 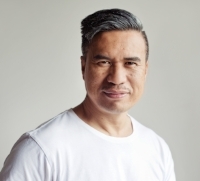 FutureYou is founded by Michael Te Young. Michael has been working in the digital industry since 1998 when he decided to leave his job and start an internet travel company. Since then he has held senior digital roles in product development, advertising sales, technology, business development and strategy. Prior to becoming a consultant in 2014 , he spent 7 years at OMD (part of the Omnicom group) as a Digital Media Business Director. It’s just as important for work to fit people as it is for people to fit work.